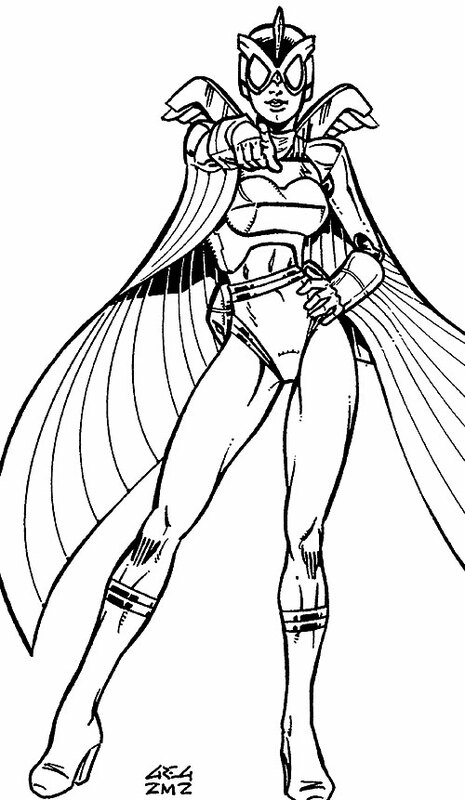 Bluejay is a reluctant villain appearing in official supplements for the Champions tabletop super-hero RPG. (Ed. : – IIRC she first appeared in the 2002 compendium Conquerors, Killers and Crooks, for the 5th edition of the game). This profile is a proof of concept for Champions conversions benchmarks, but it’s also there because it’s a cool character concept. Group Affiliation: VIPER (by blackmail). Lisa is an aerial combatant. She never closes to hand-to-hand range. Instead, she uses her flight to fight from a safe distance. The suit itself is padded and insulated. Sonic emitters power the suit’s weaponry and provide thrust, as well as a sophisticated active sonar system. Lisa has allergic reaction to toxic chemicals. How she ended up in aeronautics is anyone’s guess. Lisa Avalon was a high strung lady with a master’s degree in flight who worked for McNeil Aviation. McNeil was working on a project to build a battlesuit for UNTIL. It allowed the wearer to fly using built-in hypercritical wings. Lisa was a junior engineer on the project. She had done most of the test fittings and feedback testing with the suit. Lisa learned that unscrupulous managers at McNeil planned to sell the wing armor to drug kingpins. When the police wouldn’t believe her, Lisa turned to her overbearing boss, Laura McNiel. Despite her grudge against Lisa, McNeil decided to protect the McNeil name. They started a fire to destroy the prototype. But Lisa could not bear to see the suit destroyed. So she stole it, without Laura’s knowledge. With a few modifications, Bluejay was born. McNeil eventually figured out who Bluejay really was. When McNiel’s files were snooped by VIPER, they blackmailed Lisa by threatening to kill her unnamed, off-panel parents. She desperately tries to leave VIPER’s control. But every time she has tried something, things have gotten worse. She hopes that someday, a superhero might learn the truth and help her, but she dares not contact one on her own. Lisa’s battlesuit is blue with dark blue markings. Her wings have white streaks. Lisa is a seemingly pleasant young woman, dedicated to helping people by designing devices which will improve the quality of life for all mankind. Unfortunately, she is caught in a dilemma she cannot solve. She does her best to live by her principles in an impossible situation. Basically, Lisa is a grief-stricken mother. She could not bear to see the suit destroyed, and now, centimeter by centimeter, it is destroying her. She won’t hurt in an innocent person under any circumstances, and she won’t kill. She won’t give herself up, and she doesn’t have the confidence to admit to her parents what’s happened and try to save them. Bluejay works essentially as written. If you want to tie it in closer to the DCU, McNeil might be a subcontractor to STAR Labs or one of Luthor’s enterprises. McNeil Aviation was under contract to SHIELD. Not only does SHIELD suspect the origin of her equipment, but she has been blackmailed into working for HYDRA. She also pops up as a mid-level supervillain in Champions Online. As fits her personality, you can either team up with her to take down Elder Worms who stole her ’shinies’ to use in an evil ritual, or take her down for theft then fight the Elder Worms by yourself. She only has the standard Power Armor power set in-game. Attack Vulnerability (Poison and Gas Attacks, -2 CS), Guilt, Mistrust, Secret Identity, SIH (The suit being threatened). BLUEJAY BATTLESUIT [/STR/ 06 /BODY/ 08, Flight: 04, Sonar: 04, Sonic Beam: 12, Telescopic Vision: 02, Bonuses & Limitations: Sonic Beam has No AV (-1), R#02]. 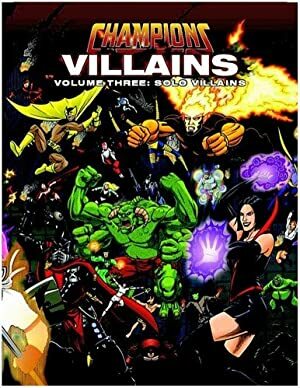 Source of Character: Champions, fourth edition RPG. Helper(s): William Chamberlin. Text lifted and paraphrased from Champions, fourth edition. Writeup completed on the 8th of September, 2012.